Protecting people, buildings and the environment from the impact of fire requires a comprehensive, systematic approach that includes the analysis of fire hazards as well as the design, installation and maintenance of fire detection, suppression and communications systems. 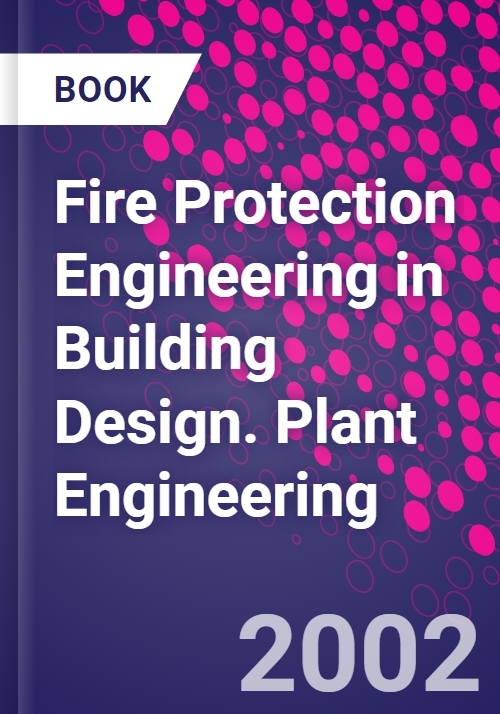 Jane Lataille takes the reader beyond these basic issues and includes information on mitigating potential fire damage through proper design and construction of buildings, industrial processes and utility systems. Jane Lataille is a nationally recognized fire protection engineer and managing editor with over 25 years experience developing publications that deliver complex content with superior organization, consistency and clarity. She is the author of technical manuals, magazine articles, and entire magazine issues and has substantial experience in technical review, content editing, and technical proofreading of material written by others.Jane was previously employed by Industrial Risk Insurers where she has held various positions (fire protection engineer, district supervisor, technical consultant, chemical account consultant, senior account consultant, and research consultant). Currently, Jane is part of the FWO-FIRE Fire Protection Group at the Los Alamos National Laboratory. She is also an active member of the National Society of Professional Engineers, the National Fire Protection Association, the Society of Fire Protection Engineers, and the Semiconductor Safety Association as well as serves on the editorial advisory board of Fire Protection Engineering magazine.